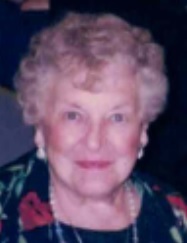 TEDESCHI, Isabelle (Ricci), 97, of Warwick, passed away Monday, November 19, 2018 at Brentwood Nursing Home, Warwick. She was the beloved wife of the late Louis A. Tedeschi. Born in North Providence, she was the daughter of the late Nicandro and Belladina (Macera) Ricci. Mrs. Tedeschi was a sales supervisor at the former Apex in Warwick for many years before retiring. She is survived by several nieces and nephews. She was the sister of the late Fannie D’Ammassa, Anne Van Deusen, Annette Noble, Angelo, Diamond and Albert Ricci.